Home › Renewable Energy Challenges › Musk slams SA energy security target. Musk slams SA energy security target. Despite the Tesla South Australia battery partnership currently being undertaken, Elon Musk’s Tesla has rubbished the South Australian government’s planned SA energy security target, saying it will “hold back technology innovation whilst incentivising incumbent technology … imposing barriers on innovation by excluding rapidly evolving fast response technologies”. 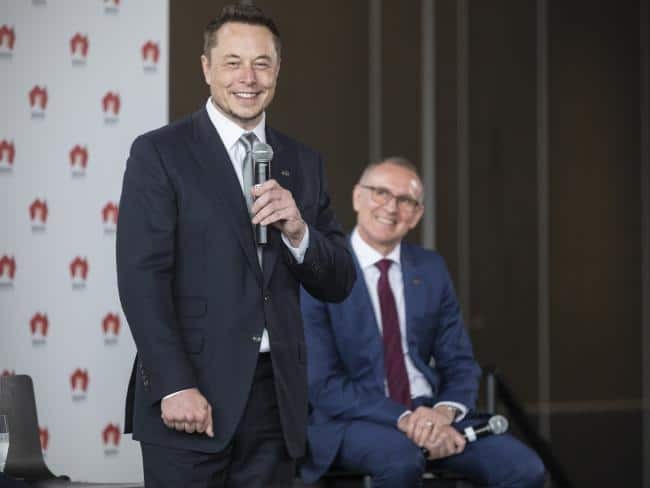 Tesla’s Mark Twidell wrote a submission to the government where Tesla expressed their dissatisfaction with the target, saying “We do not feel that the draft regulations and supporting consultation paper are representative of the current South Australian position as leaders and innovators in the renewable energy space”. Multiple major organisations have harshly lambasted the SA energy security target, which is planned to commence on January 1 and will require retailers to buy 36% of their power from South Australian sources. This number will rise to 50% by 2025 and, according to Nyrstar, who made a submission to the government about the target, “given the generation market structure and in particular the high concentration of generation in South Australia and the high underlying cost of the predominant fuel (gas), it is debatable whether the scheme will be effective at reducing pricing due to these factors”. As per an article from the ABC, other submissions range from urging caution because it may not lower wholesale prices, to killing off plans for a new interconnector which was slated to feed power into the state. Momentum Energy said implementation of this energy security target is “unlikely to have any downward pressure on prices, and will instead become a pure pass-through to customers”. Origin Energy called the legislation “unclear”, and Alinta Energy posited that such a scheme could add $100 to an average bill. For their part, the government stood by the legislation, with the Energy Minister Tom Koutsantonis advising in parliament on Tuesday that it will lead to “lower wholesale electricity prices”, and will in turn “incentivise more generation”. No word on how exactly that will happen but we’ll undoubtedly hear more from all sides in the coming months. Opposition energy spokesman Dan van Holst Pellekaan noted that “even” the Greens were critical of the plan, labelled the government’s energy policy as “chaotic” and called for independent economic modelling before “inflicting further pain on long suffering South Australian businesses”.